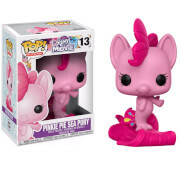 Your favorite googly-eyed pony Derpy Hooves from My Little Pony: Friendship is Magic has been mysteriously transformed into Pop! Vinyl form with the My Little Pony Derpy Pop! Vinyl Figure!